Want to know Sunny Leone Up coming movies in 2015- 2016? Let us take a look at Sunny’s entire details of 2015 – 2016. 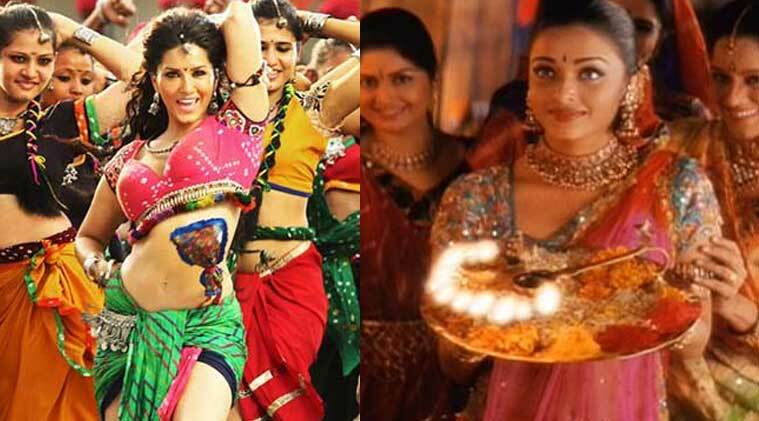 Sunny Leone in Aishwarya Rai Bachchan’s avatar, Sunny Leone in Victoria secret look, so much to discuss on her. No wonder, she is gorgeous and she looks really presentable in any look on screen. Sunny Leone fans are going to love her Victorai Secret hd wallpaper image and Aishwarya Dholi Taro Song image featuring Sunny Leone. The way Sunny Leone looks hot in beach wear, bikini, same way Sunny looks great in Indian dresses and Sarees. I was just stunned to see her typical queen like look in newspaper ad of the movie Ek Paheli – Leela and it made me look attentively on the advertisement. Yesterday, I happen to read Sunny Leone is trying to put her feet in Aishwarya Rai’s arena by dancing on her song, Dholi taro dhol baje from the movie Hum Dil De Chuke Sanam for the movie, EK Paheli – Leela, which is a musical thriller, in which 9 songs are picturised on Sunny Leone. Dholi taro is reworked and pictured as item number with Sunny Leone in it. Sung by Kanika Kapoor, singer of Baby Doll whose voice suits Sunny Leone perfectly. Tere bin. nahi laage jiyaa. Koi chahe kitna roke karungi pyaar..
One more delight for Airjit Singh fans, Deewana tera song is worth download. Itni anmol chiz de di kaise, sochta hoga! Ki dholi taaro dhol. dha dha dhol. is expected to be high and it is going to get good amount of audience in its particular range. Sunny Leone is playing a role of a princess, who is having a mysterious kind of nature and falls in love with a common man. As per some resources, she is playing three roles in the movie and completely never seen before avatar. Sunny Leone has a long line up of movies releasing in 2015. She is working with Veer Das and Tushar Kapoor for Mastizaade. Riteish Deshmukh is also doing cameo for Mastizade. This is going to be typical dual meaning comedy with dual role of Sunny Leone opposite Tushar Kapur and Veer Das. To see some more interesting stuff, Sunny Leone is also featuring opposite the most favorite TV star of housewives of India, Ram Kapoor in the movie, Kuch Kuch Hota Hain which is a comedy movie and Sunny Leone is all set to woo Ram Kapoor with the song Jaane Do Na, Pass aao Na. Sunny Leone and Ram Kapoor starrer Kuch Kuch Locha hai is all set to release on 8th May, 2015. Kuch Kuch locha hai is comedy movie where Sunny Leone is a film star and Ram Kapoor is a Gujarati Businessman. Evelyn Sharma is his neighbor and helps Ram Kapoor in impressing Leone. This is all about the story of Kuch Kuch Locha Hai. Songs of Kuch Kuch Locha hai are already being recognized with Pani wala Dance and some other good songs. Beiman Love is also one of the Sunny Leone Movie whose hd hot images and wallpapers have already created a big buzz in the market. One more Sunny Leone movie on the list is One Night Stand. All movies in the line up are quite different from each other, but belonging to a different niche. Indian audiences are all set to see her on the big screen in different looks and attractive avatars. The only thing that works here is entertainment. She has got the class with the appeal, what say people. About Sunny Leone entire content is covered related to Sunny Leone Up coming movies in 2015- 2016.